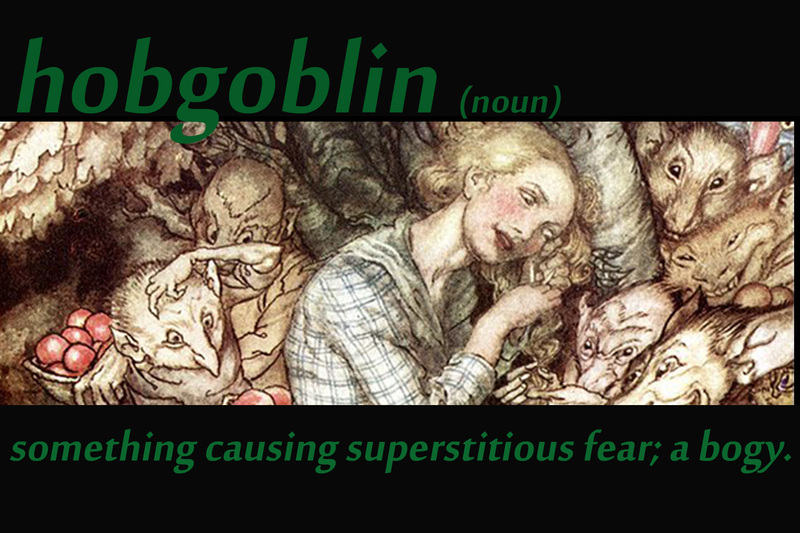 We all have fears, and the hobgoblin is a mythical representation of those fears. many of the creatures that people may have once believed in, to one degree or another, are easily explained away. The hobgoblin and his kin were the creatures of the night that whisked us away— and were used to warn children away from the dark woods. Today, we no longer believe in such creatures, because we know the most fearsome predator is man. Maybe our ancestors were wiser to blame murders and disappearances on monsters. In many ways, it easier to believe than the atrocities we enact on one another.